"The feeling around campus is electric. I love the fact that when you walk in the front door there's an open space with people working together, talking together. 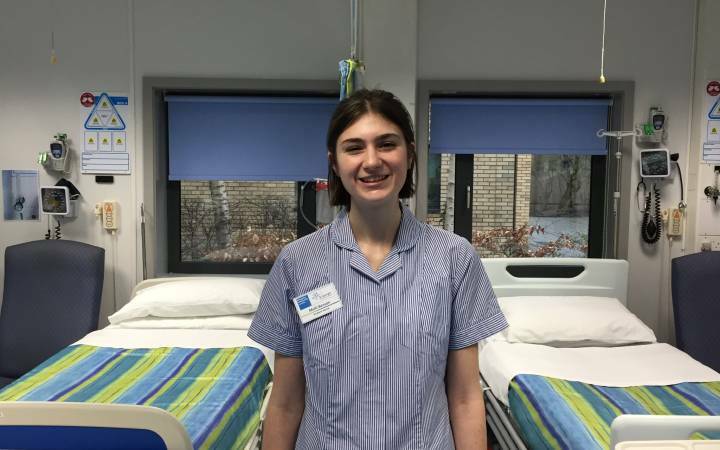 There's work on the wall - you walk in to a living, breathing space." Kingston School of Art's newly appointed Head of Design, Damian Chapman, finds it easy to capture the feeling of stepping in to Kingston School of Art - one of the key reasons he felt compelled to take up his latest leadership role. "Kingston School of Art has a phenomenal reputation for creativity," he said. 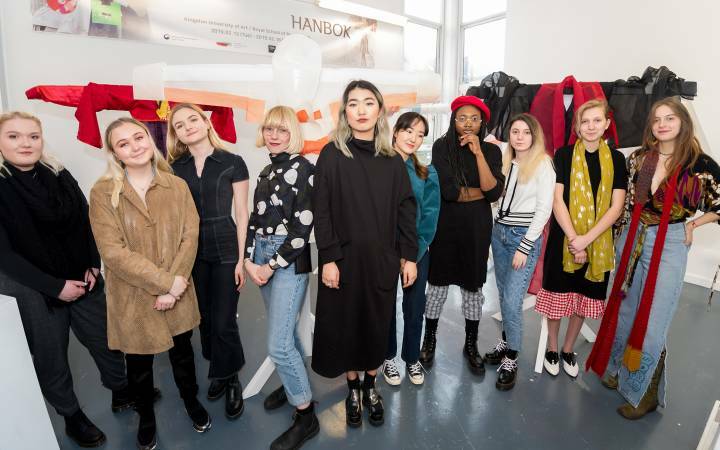 "Our students are at the very forefront of the design industries and, through building on the trailblazing and socially responsible work here in the Design School, we nurture and celebrate creativity as one of the key value drivers for society." Having worked across a range of creative disciplines through a varied career that has incorporated creating striking fashion imagery, branding campaigns and running photographic projects with illustrious international design agencies, Mr Chapman has developed a clear vision for design education. "I see design as the platform upon which everything is built," he explained. "That could be anything from the societies we all live within, the education curriculum or a beautifully crafted chair. Technology is an important element but design is all about communication and collaboration. The main factor should be that it is human-centred - design must be about people." He describes the strength of Kingston School of Art's course portfolio as "second to none", encompassing innovative and highly creative departments in fashion, graphic communication design, illustration animation and 3D design. 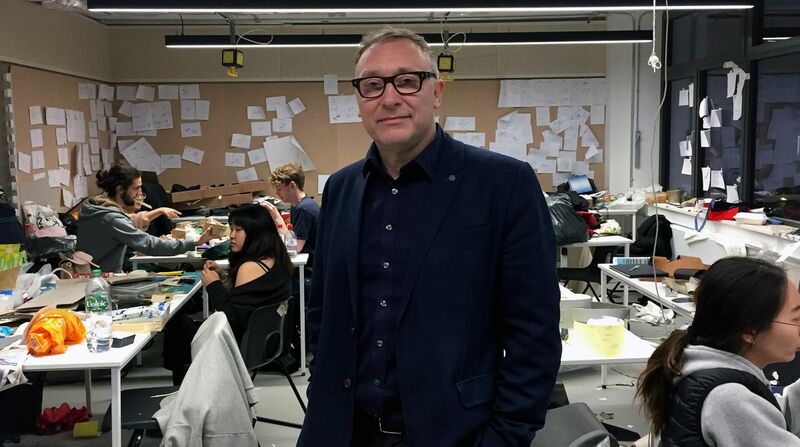 "The space on campus, especially the investment in newly refurbished flexible studio space, is student focused, ensuring the best possible experience for young creatives," he added. 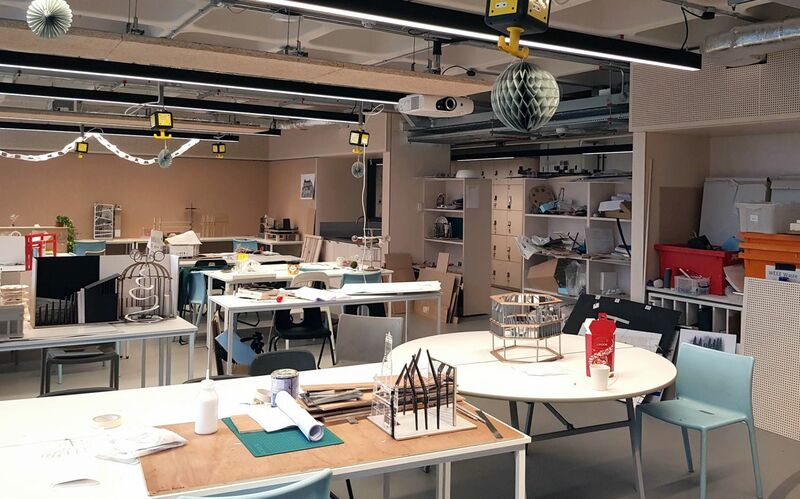 With a background of working in a number of design schools across the country, developing institutions design education portfolios, Mr Chapman is keen to see Kingston School of Art's design school grow. "There are areas in which I can see real opportunity," he said. "We could expand in to the creative management sector, fashion management, marketing and promotion, design management and branding are all areas I would like to see us move towards. "We do things extraordinarily well. I want to develop a bigger design school combining a strong basis in our history with the cutting edge practice for which we are known, to position the school at the very forefront of design philosophy." Mr Chapman would like to see Kingston developing a practice-led research culture. "The conversations around design philosophy come from the design school not just singular remarkable practitioners. We are striving for creativity and innovation and it is best achieved through collaboration and experimentation." "Agility in thinking is fundamental to a contemporary skillset, but it is often quite a difficult thing to find because it comes from experience. For a young learner to have the confidence to make mistakes is I think is one of the most powerful ways to learn. 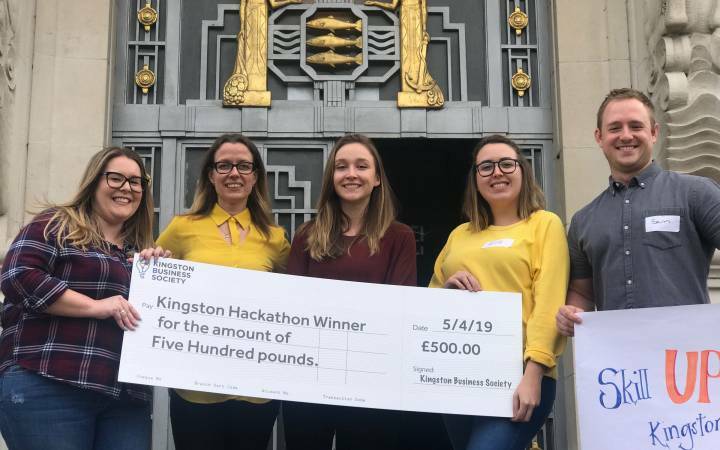 You become agile, but to actually have the confidence and the feeling of safety to make mistakes and experiment is the environment I want to cultivate at Kingston School of Art." Mr Chapman made his first foray in to the world of design when training as a photographer while living in 1980s cold war Germany in his early twenties. He returned to England, setting up a photographic design studio with his friend, fellow photographer Ian Forsyth in the Smithfield/Clerkenwell area of London. The studio developed a reputation for producing still life and corporate imaging for some of the major national and international design agencies. This led Mr Chapman to begin a belated academic journey. At 33 he started studying at Central Saint Martins, before going on to gain an MA from the same institution. Learning continues to play a pivotal role in his life, a factor he believes is advantageous for an academic leader. 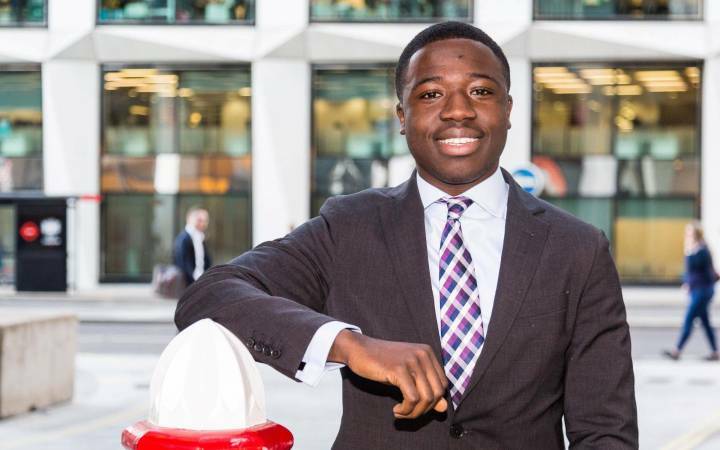 He is currently pursuing a doctorate at the RCA in disruptive approaches to search and retrieval user experience in unique identifiers. "Specifically, I am examining the trace - a piece of primary information that leads to an outcome," he explained. "It could be a conversation, the search history on an internet browser or even a hand-made painting on a cave wall from thousands of years ago that set up a tribe's beliefs, values and ways of thinking. Within my research I'm examining a very realistic engineering problem and examining it from a human perspective on how we communicate about life's journey." Find out more about the Design School at Kingston School of Art.